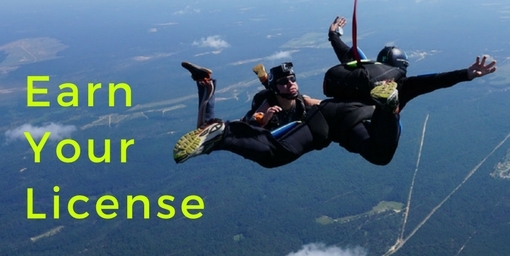 Skydive Paraclete XP, located in Raeford, North Carolina, is the premier dropzone for skydivers of all skill levels. If this is your first time skydiving, Skydive Paraclete XP’s school has many of the best skydiving instructors in the world. If you’re ready for the thrill of a lifetime visit Skydive Paraclete XP. Skydive Paraclete XP is one of the nation’s most reputable dropzones. We’re renowned for our service, the expertise of our instructors and our fantastic facilities. We’ve built a reputation as the premier location for skydiving Raleigh and The Research Triangle area. We welcome both first time skydivers and experienced jumpers from across the States and beyond to jump with us. Plus, our sister indoor skydiving facility is located just down the road – which is a particular draw for skydiving teams and for families who want to let their little ones experience flight without jumping from an aircraft! Skydive Paraclete XP has built the ultimate east coast training facility for experienced skydivers. Your experience is, in large part, about the people you experience it with. Our team of expert skydiving instructors understand the important part they play in your day, and we do all we can to give you the best experience possible. Every member of our team is USPA approved. The United States Parachute Association provides advice and guidance to help its member drop zones provide a consistent and regulated service. By following their guidelines, our instructors have proven their abilities through a series of examinations and qualifications. The majority of skydiving centers in the US are USPA members and USPA ratings are recognized across the world. Watch experienced skydivers jumping and training at our facilities in this action packed video!